“It has been a wonderful experience working with Creativesmith. John has a flair for understanding complex branding issues within partnerships, taking time to understand and acknowledge individual partners concerns. 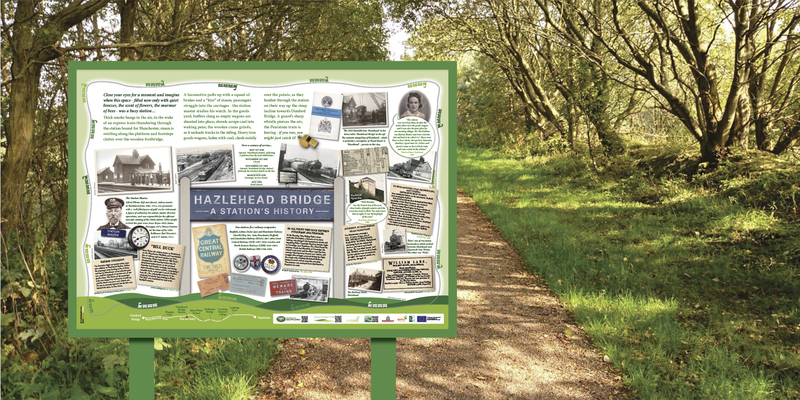 This hands on approach has allowed John to create designs encompassing everyone’s comments whilst showcasing the new design and its individuality.“ Mandy Loach, Trans Pennine Trail Officer. “John is very professional; he is amazing at listening and assessing what you need, and rapidly turns hesitant ideas into brilliant design. His experience and skills have raised the bar by several notches, transforming the project into something truly exciting, which has boosted visitor numbers and engaged people across the board.” Kate Dobson, Trans Pennine Trail Conservation Volunteers.